The harvest festival of Chherta held in the lunar month of Pus that falls in end–December is celebrated on the night of the full-moon. 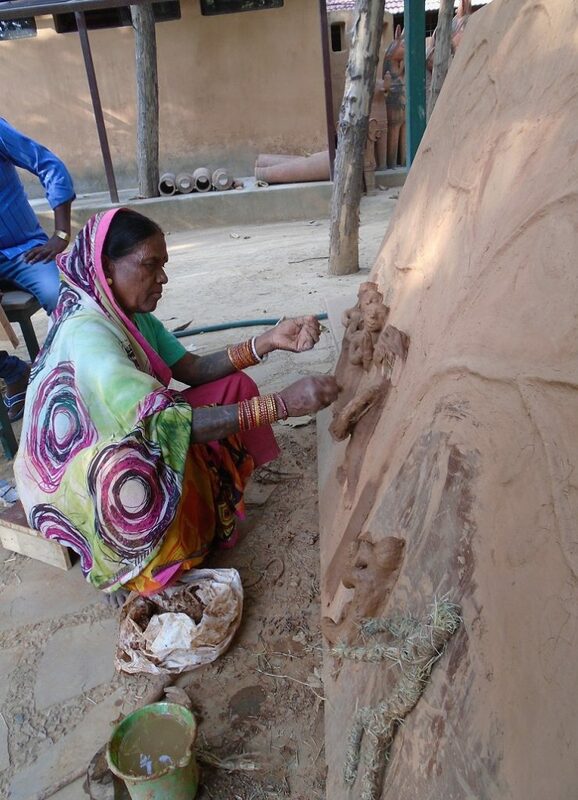 In Chhattisgarh women of the Rajwar agriculturalist community celebrate the event through creating Bhitti Chitras – the sculpted and painted clay relief figures. 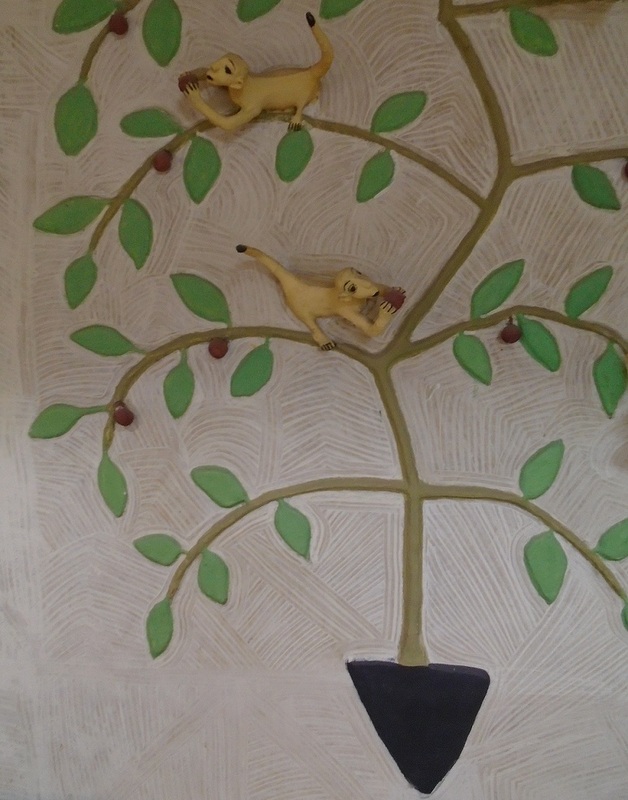 Decorating their homes for these festivities with reliefs of gods and goddesses, birds, animals, plants, trees and human forms the figures created vibrantly crowd their homes to bring the interiors and exteriors to life. Vividly painted in shades of orange, red, blue, green, yellow with the features delineated in black the reliefs are set against a stark contrasting white clay surface. 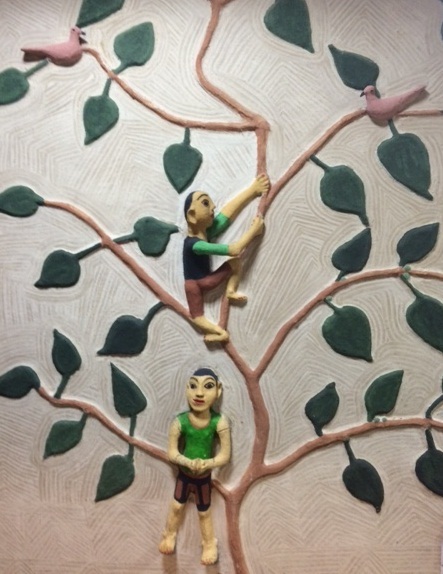 From the walls of their homes, on storage spaces, doors, alcoves and additionally free standing bamboo screen structures these 3D images created are renewed each year with new figures added on. Living in mud homes the women apply a lipai/coating of wet clay mixed with cow dung on the floors and walls that is then covered with white Multani Mitti/ Fullers Earth. This forms the base of the work. 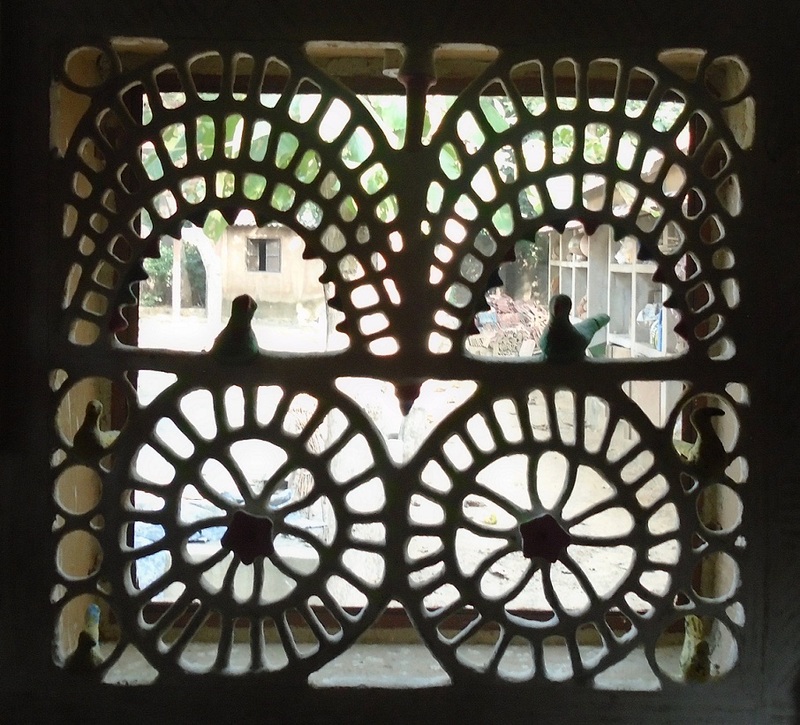 While a variety of surfaces are covered, lattice bamboo fretwork structures are also constructed to form standalone artworks that are decorated with figures. 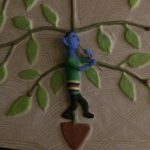 The images are moulded into shape inspired by the makers’ imagination. 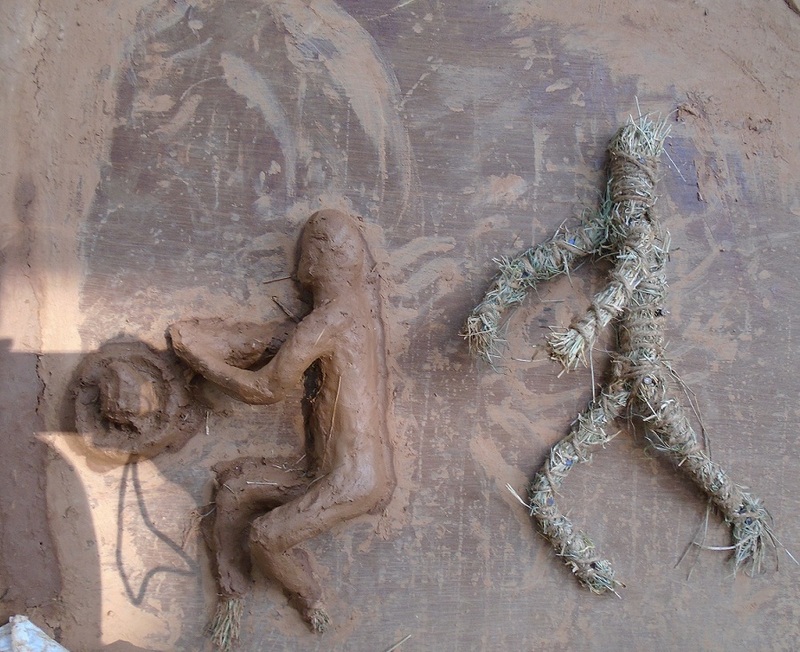 Rice husk waste forms the base that is coated and shaped with clay before painting. The figures of birds and animals with their young often have very human expressions further adding to the spontaneity of the art created. Given the effect of time and the elements the art is constantly renewed, repainted, reformed and added on too. This Rajwar community tradition came to notice in the early 1980’s when Bharat Bhavan the arts complex opened in Bhopal under the leadership of Ashok Vajpeyi The Roopankar Museum that formed a part of the Bhavan was founded and led by the distinguished thinker, painter, poet and writer J. Swaminathan (1928 – 1994) who’s thinking on art challenged the established canon that divided the contemporary and modern from the folk and tribal. His contribution to this debate continues to inspire till today. It was Swaminathan along with students of art and others under his guidance who fanned across the the region travelling to its most remote parts to collect and documenting the folk and tribal arts. 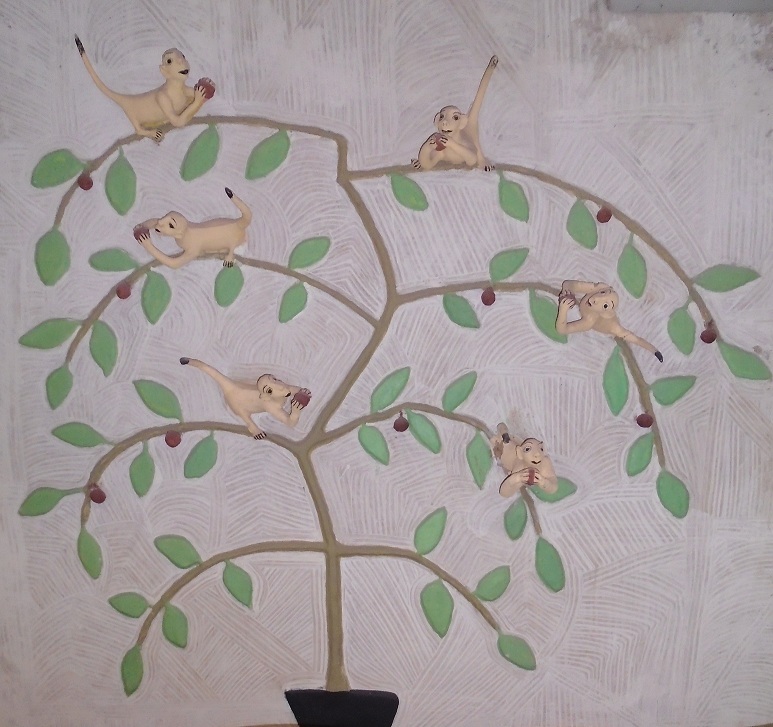 This collection formed the core of the Roopankar museum. 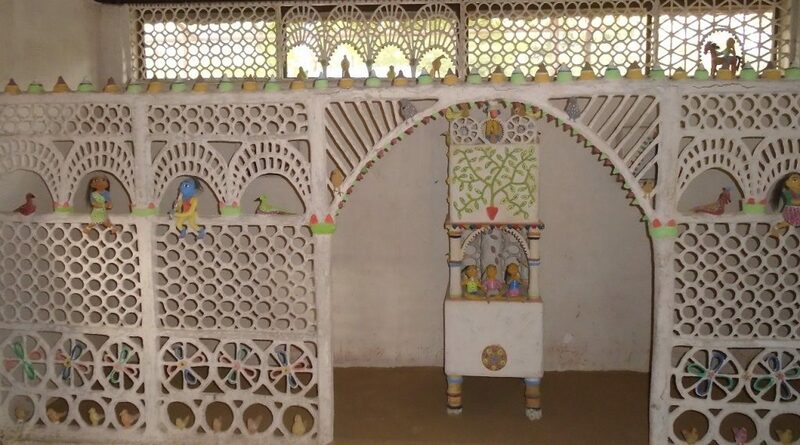 The Bhitti Chitra tradition of the Sarguja district work thus came to the notice of the researchers from Bharat Bhavan and immediate interest was generated. It was Soonabai, a legend in her lifetime whose work had caught their eye as in her home she had created a universe of figures that she called her ‘companions.’ Some of her work was taken to Roopanker and further orders were placed. 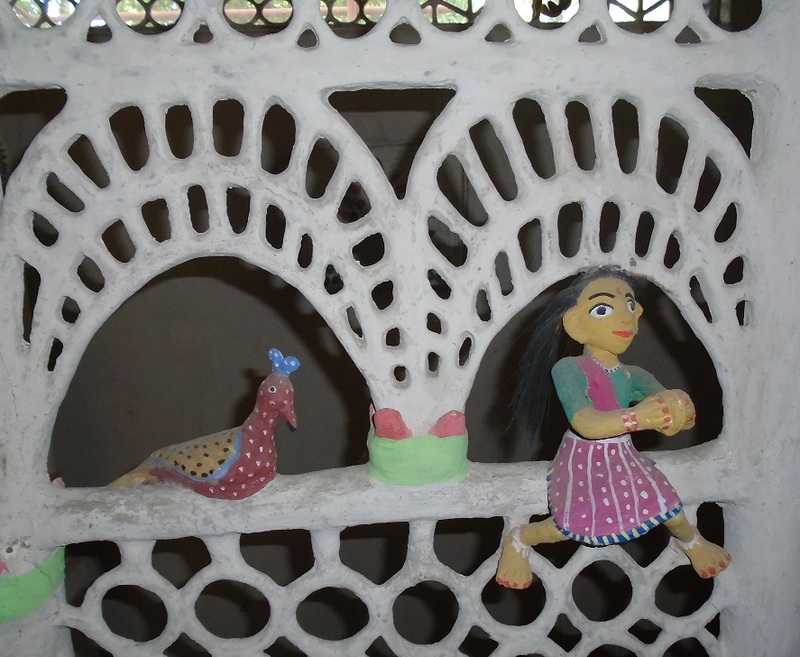 Soonabai’s travelled to Bhopal and then further afield, across India and overseas, demonstrating her art and creating artworks. Many distinctions followed and the recognition of the arts of the Rajwara community received worldwide acclaim. 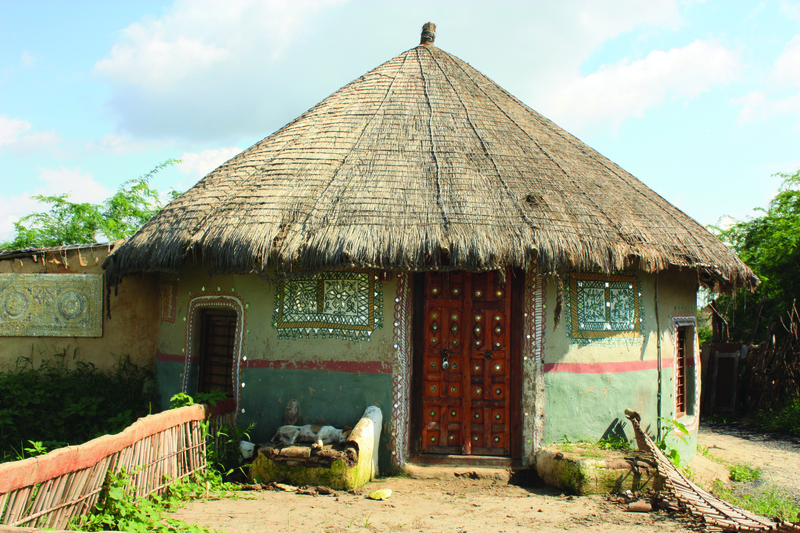 Today, much after the demise of Soonabai in 2007 one of the traditions foremost bearers is Sundaribai of Sirpotanga Village in Sarguja District who while from the Rajwara community belongs to a family that was traditionally engaged in restoration mud work for the local kachche makan/ mud houses in the area. 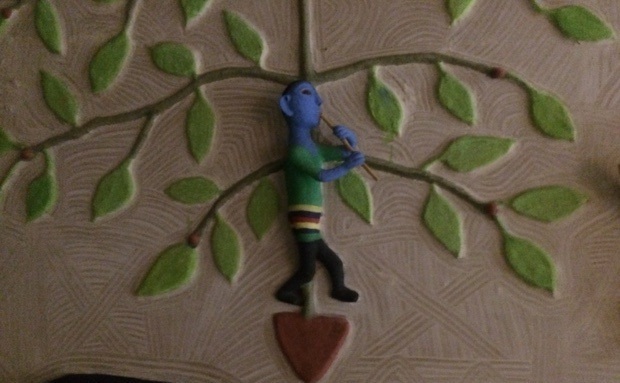 As a young child she played with clay, this led her on to make pots, cups, jars and soon her clay moulded figurines developed into birds, parrots, monkeys, flowers and figures. Married at the age of 11 she continued her work. Her designs expanded to cover walls and doorways as well as standalone pieces. Practising commercially for almost 40 years now her family has followed in her footsteps – from her husband, her sister-in-law, her only son to her six grandchildren who are continuing their education while learning the finer points of the craft. Bhitti chitra today remains a vibrant tradition with the women continuing to sculpt and paint their homes during festivities. While the focus of attention is the deity – Lord Shiva and Lord Krishna among others placed within the profusion of flowers and leaves phool pati and trellis fretwork jaals that fill the background. 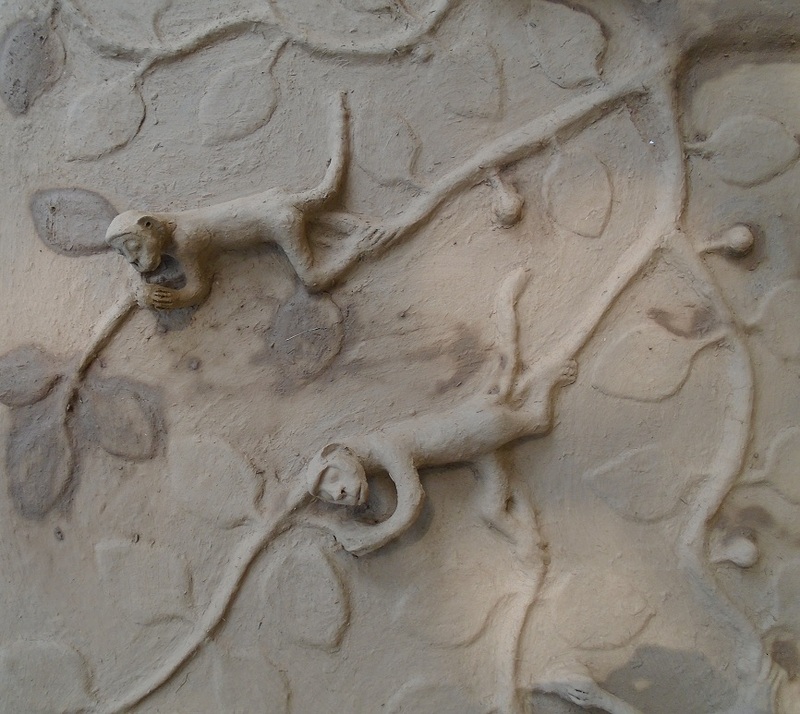 Birds and animals – monkeys, buffalos, horses, dogs, cats and as well as human figures add to the scene. 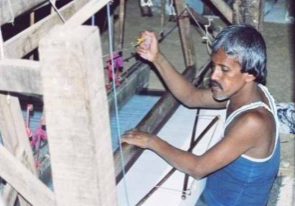 With the commercialisation of Bhitti Chitra the numbers involved have grown as can be seen in Sundaribai’s case where her whole family, including the men now are involved in the work. Showcased in museums, and exhibitions often in heights of several feet it is now has a widened clientele both nationally and internationally. With the artists now seasoned traveller whose themes have expanded to include a landscape that extends from the everyday village life to include other backdrops.